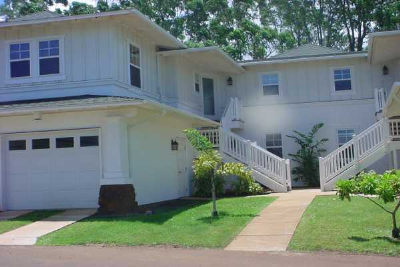 Great location within Plantation at Princeville. 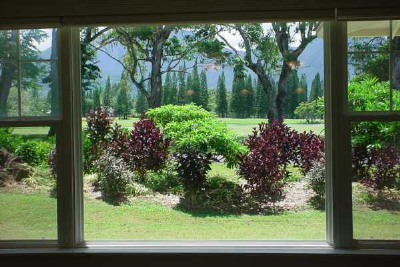 This is a ground floor unit with beautiful mountain and waterfall views located across from ninth hole of the Lakes nine of the Makai Golf Course. 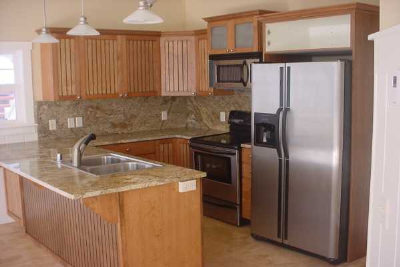 This condo includes $52,000 of developer upgrades: slab granite countertops in the kitchen and master bathroom, upgraded cabinetry and appliances, upgraded bathroom fixtures, upgraded floor coverings, crown molding and wainscoting. 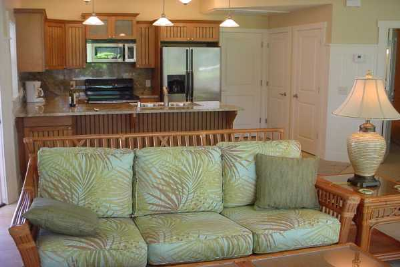 Designer window coverings and upscale furnishings are included. 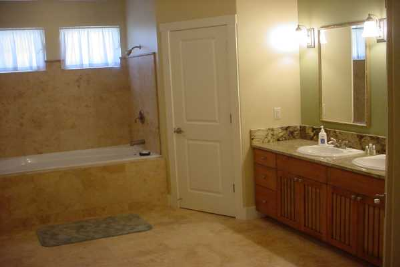 Everything is new as this condo has never been rented. Single car garage. 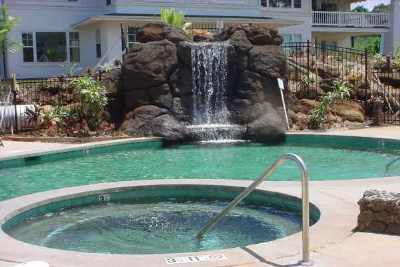 The project amenities feature a swimming poll, jacuzzi and workout/recreation room. AOAO (Association of Apartment Owner) Fees are $560 per month in 2012.